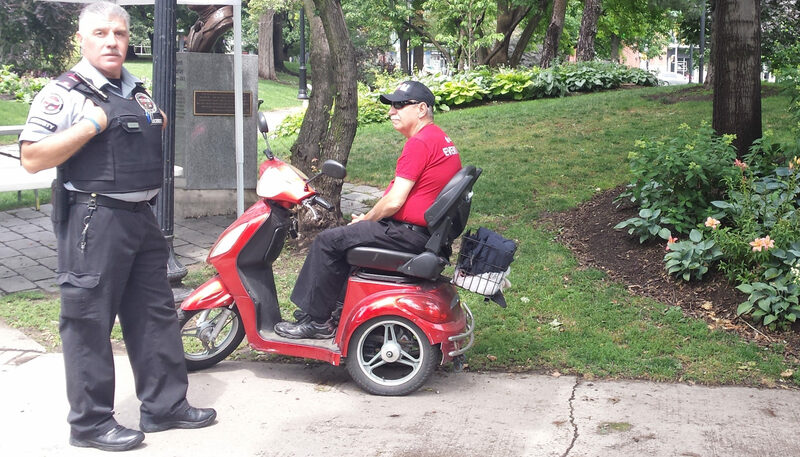 The St.Lawrence Market Business Improvement Area (the BIA) has hired private security that patrols the neighbourhood, and has become notorious for harassing poor and homeless users of St. James Park. The security guard ‘bans’ people from the area, enforces made-up rules (no sleeping in the park) and has become a symbol of fear, which is precisely the intent. We learned about the situation mid-July from a currently homeless park user, Neil Mclellan, who called us while he was being threatened and illegally kicked off from the park gazebo by the guard. We notified the city, called the BIA and sent them a written letter to cease and desist from these practices. When the harassment continued, we issued a poster informing park users of their rights. Instead of laying off, the BIA escalated the situation. They started confiscating posters OCAP had distributed to park users (which is theft) and threatened Neil with physical violence. Despite being told by the city to cease having security patrol the park, and interact with park users outside of the hours stipulated on their permit, the BIA continued with the status quo this Thursday. So we are now releasing this statement and video publicly, with a warning to the BIA – back off and stop the illegal private policing of the park and the surrounding area, and the harassment of poor people. If you don’t immediately put an end to these illegal practices, we will start picketing all your member businesses, starting with the ones owned by your board of directors. The city tells us that emergency shelters aren’t the solution to homelessness and the escalating rates of homeless deaths, housing is. So shelters are kept underfunded and overcrowded. At the same time, the city is boarding up hundreds of public (Toronto Community Housing Corporation) housing units, at a time when the demand for them far outstrips supply. Thousands of families are facing displacement and thousands more languish on the subsidized housing waiting-list with wait-times that now stretch over a decade. Meanwhile market rents continue their upward spiral and upscale redevelopment projects continue pushing poor people out of the downtown core. Open 1000 new emergency shelter beds. Stop the ongoing closure of TCHC units. Protect the city’s stock of rooming houses. Build decent, accessible, and affordable public housing now. This summer has been an especially difficult one, we’ve lost a lot of people. Their lives have been lost not only to homelessness, but also to senseless policies of the so-called ‘war on drugs.’ So we come together, in the spirit of what Mother Jones once said, to mourn the dead and fight like hell for the living. Join us. The Toronto Ombudsman’s report opens by acknowledging that its enquiry was prompted by a CBC interview with Cathy Crowe, ‘a well known social activist and street nurse about Toronto’s cold weather response for people who are homeless.’ The interview dealt with inadequate levels of shelter provision and looked at the need for the federal armouries to be opened in order to respond to this. Given that the media interview that prompted the enquiry raised issues around the inadequacy of the overall shelter system, it’s curious that the Ombudsman chose to limit deliberations to the back-up cold weather drop-ins. In fact, it’s actually rather worrying that this choice was made because it happens to be a rather useful one for Shelter Support and Housing Administration (SSHA) officialdom and the agenda they are pursuing. On Saturday, April 22, at 7.00PM, OCAP will be back in front of Mayor John Tory’s luxury condo at Bloor and Bedford to challenge the homeless crisis in Toronto. This time, we will bed down and stay for the night. Tory has previously accused us of being ‘unfair’ by bringing the fight to his private residence. At least two City Council members have taken the same position publicly. Sections of the media have been aghast that we would behave in this way. This being so, we wanted to put the following points on the record. We are not challenging some inconvenience or mild injustice but the lethal abandonment of homeless people to the streets. The shelters are bursting at the seams, the City is failing to implement its own policies with regard to occupancy levels and the back-up warming centes and volunteer-run Out of the Cold facilities have closed for the year. Homeless people have died this winter for lack of adequate shelter, they have suffered hypothermia on the cold streets, and their health and dignity have been assaulted. City Council has cut homeless services in the midst of this situation and made it clear that the needs and survival of homeless people are valued much less than the objectives of austerity and upscale redevelopment. John Tory can’t plausibly deny that he is fully aware of the reality of the crisis on the streets of this City. The threadbare denials and excuses that he and his administrators have put forward would convince no serious observer. Homeless people and their advocates, front line workers, medical providers and religious leaders have all provided him with abundant and compelling evidence of the gravity of the situation. He knows but chooses not to act. If we were dealing with a Mayor who, in good faith, was seeking to find solutions and take vitally necessary actions to deal with the crisis, we would be taking a very different approach. However, we have learned from bitter experience that ‘going through the proper channels’ is to disappear into a maze of political evasion and bureaucratic delay. Those who tell us we should be going the route of polite discourse and restrained tactics, may be prepared to accept the suffering and misery of the homeless but we are not. We look to maximize the pressure on the Mayor and, if our home visits make him uncomfortable, so much the better. 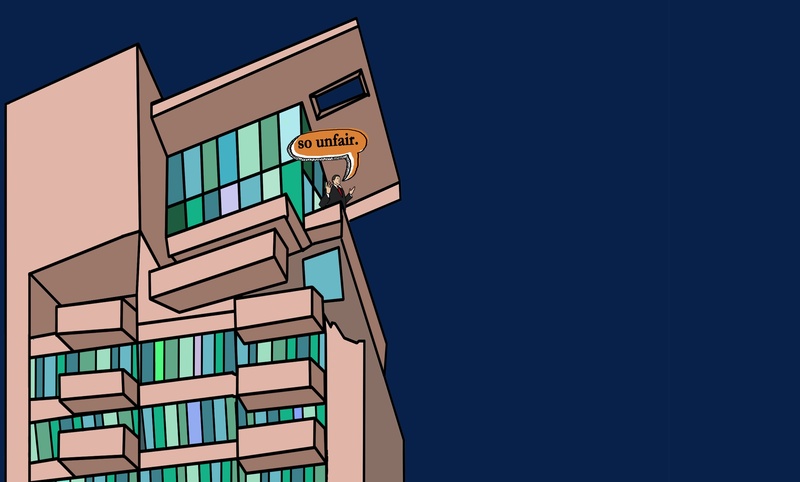 We think that coming to the front door of Tory’s luxury dwelling is far from ‘unfair’ and that, in fact, it is entirely fitting and just as a course of action. The building he lives in is known as the ‘Tower of Power.’ If he and his well-to-do and well-connected neighbours are mildly inconvenienced by the actions, the discomfort is nothing compared to the impact on human lives of the failure to provide basic shelter from the elements or shelter conditions that are remotely humane and decent. If Tory wants us to be more ‘reasonable,’ he can tell his political co-thinkers and developer friends that he will meet the very basic demands we put forward in response to a desperate and worsening crisis of homelessness. We will be bedding down in front of John Tory’s condo on April 22 and we make no apologies for our actions. In this wealthy City, the fact that people lack even shelter space, is a shame and a disgrace and we intend to challenge that even in the face of high placed disapproval. Sleep Out at John Tory’s: Shelter Now! 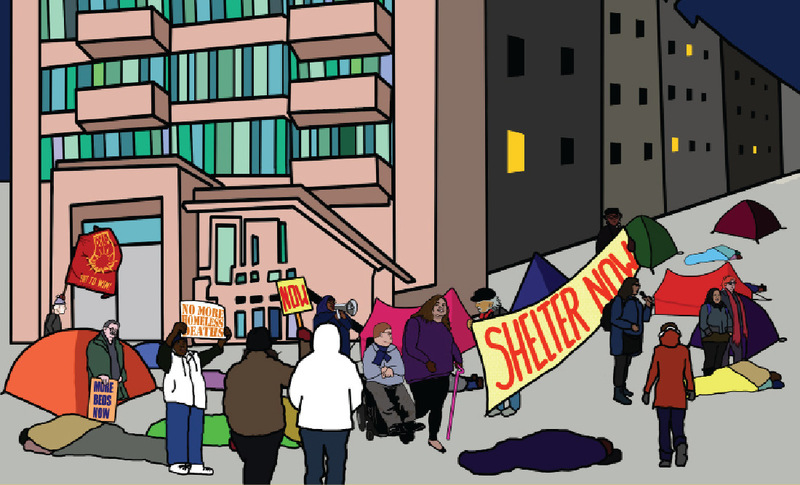 Update: Read our article in the Now Magazine documenting how the city siphoned millions of dollars away from homelessness and homelessness prevention programs during this time of crisis. It has been a terrible winter for Toronto’s homeless. The shelters have seen appalling levels of overcrowding and even the warming centres and drop ins have been hard pressed to deal with the numbers seeking a place of refuge. The overcrowding has caused four deaths and homeless people have been hospitalized with hypothermia. Throughout these dreadful months, Mayor John Tory and the bureaucrats at City Hall have refused to open additional space. Now, the warming centres and volunteer-run ‘Out of the Cold’ facilities will be closing for the year. There will be even fewer options available to people trying to survive on streets. The City must open enough new spaces immediately to ensure that the policy of not running the shelters above 90% occupancy is actually in effect. They must ensure that enough low barrier and harm reduction spaces are available so that people can actually access the shelter system. What to bring: If you can, bring blankets, sleeping bags, and other things to keep yourself warm through the night. We’ll have sleeping bags with us for those who don’t have them. There will also be warm drinks and snacks throughout the night. Contact us at ocap(at)tao.ca or call at 416-925-6939 for other accessibility concerns. 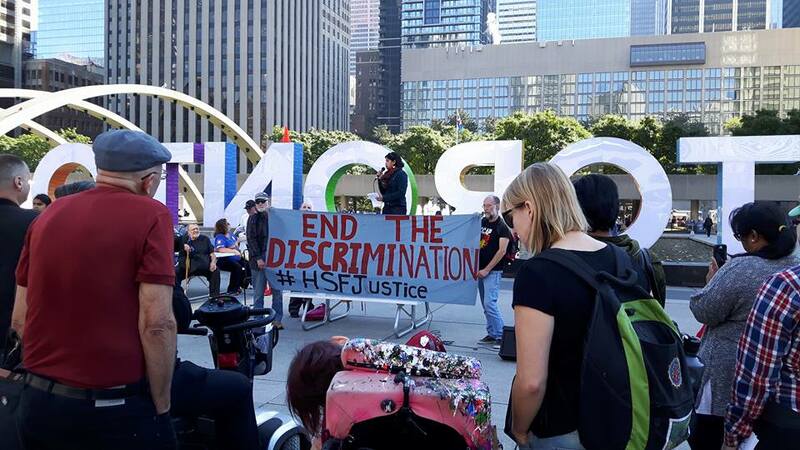 Last week, a twenty eight year old homeless indigenous man perished in Toronto, after staff at a drop in had to tell him that the facility was too overwhelmed to provide a place of shelter for the night. For months, homeless people, advocates and service providers have been telling Mayor John Tory that the shelter system is hopelessly overcrowded and that a death was all but inevitable. We were so sure of this horrible reality in OCAP that we had a contingency plan to hold a memorial at Tory’s luxury condo in the event of a death. Last Sunday, we had to do just that. Unbelievably, the response of the Mayor’s office to the tragedy has been to double down on the evasions. Rather than to open the federal armouries or some equivalent location, as the community had demanded, to try and save lives, Tory and his entourage have ducked and weaved to try and deflect the blame they can’t escape. Is the Mayor of Toronto visiting your community? 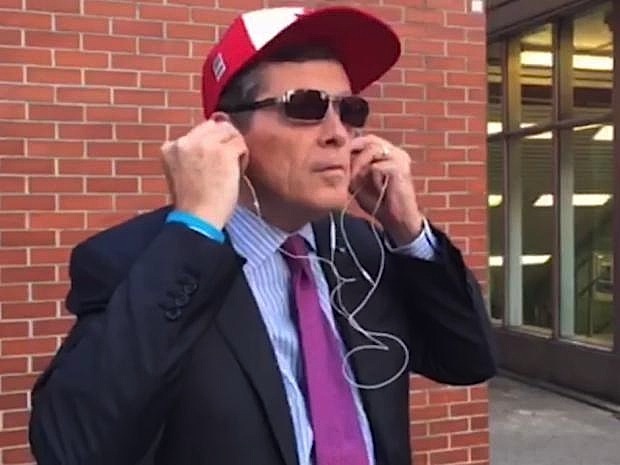 Call the John Tory Tip Line! Last week, a homeless man died after an overwhelmed drop-in was not even able to offer him a mat on the floor. The place was so crowded that nine others could not be taken in that night. Toronto’s shelter system is bursting at the seams and homeless people and their allies having been telling that to Mayor John Tory for months. He was warned that the level of overcrowding was life threatening and urged to open up the federal armouries to take the pressure off the system. He failed to act and a human life was lost. The lives of many others are at risk. Despite this grim situation, the Mayor is still not taking the emergency action that is needed. 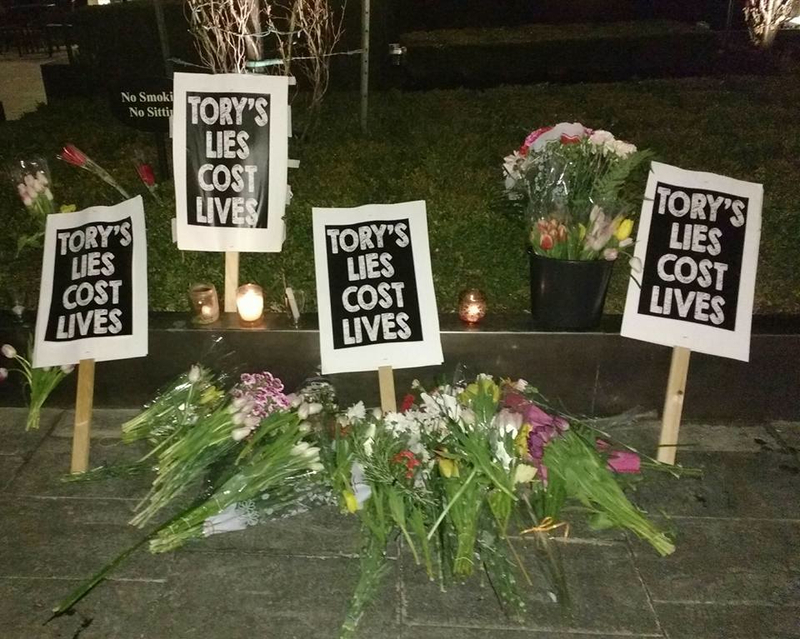 Last weekend, we held a memorial for the man who died at Tory’s luxury condo. He didn’t like that much and he wasn’t supposed to. We want to increase the pressure and force him to open space. Thanks for any and all tips and information.